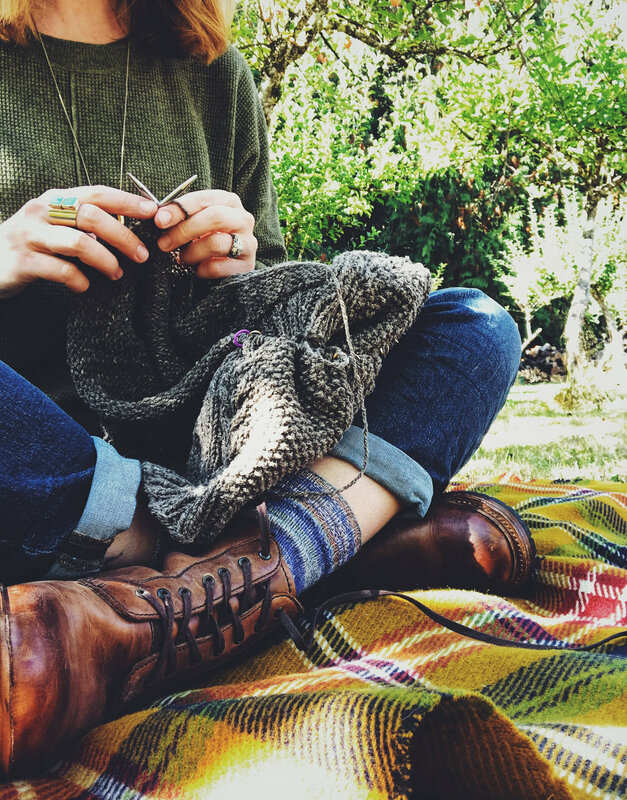 It is finally fall, and it means we no longer look like weirdos when we bust out the knitting in public. Not that I mind looking like a weirdo, mind you. I have been working on some new designs- coming at you soon is this sweater, Zweig, so named for the writer Stefan Zweig, whose work I find incredibly moving and inspiring. The pattern is with my fantastic testers now who are zipping through it, and will be available on Ravelry in mid-October, if everything goes as planned. After that I have several collaboration projects with some amazing indie dyers lined up. I find it so inspiring to immerse myself in the color stories that talented dyers dream up- I can't wait to share more of what we are doing soon! Also! I have exciting news! This year I am adding teaching to my schedule, and I was really hoping some of you might give me some feedback on what kinds of classes you would be interested in taking from me? If you have any thoughts I would love to hear them! In the meantime, stay tuned- I may be traveling to your area in the near future!